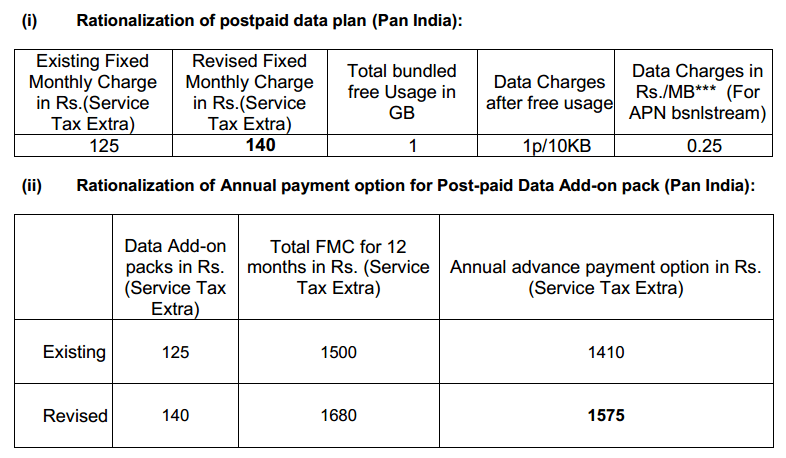 After revising prepaid tariffs and announcing revision of famed night unlimited broadband plans, BSNL will now be increasing the data tariffs for Postpaid users. In addition to this revision, customers will now be provided options of unlimited data add-on packs and URL based social packs. To begin with, the unlimited add-on packs and URL based social add-on packs will be applicable only for North Zone subscribers. 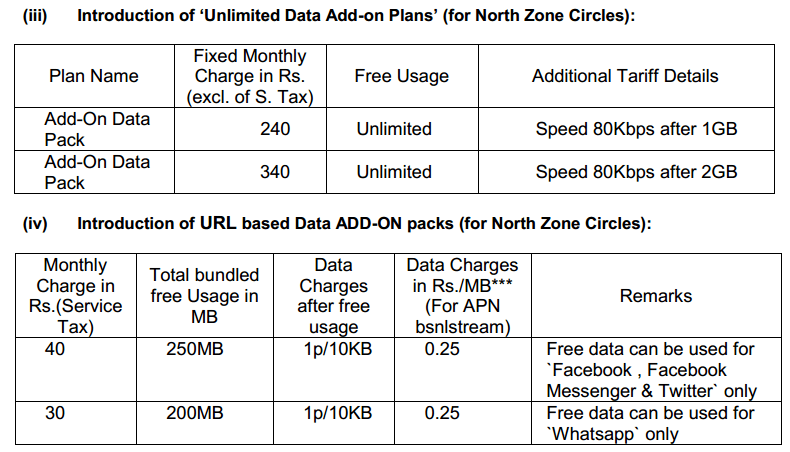 It may be noted that data add-on packs and social packs were always offered by private operators like Airtel, Uninor, Reliance and Tata Docomo. All the above tariff revisions and introduction of new packs will be effective from 11 June 2014.